History: (Marvel Universe Millennial Visions 2001 - "Avengers: Defenders of the Galaxy" (fb) - BTS) -When the Dark Ones attacked the planets in the outer rim of the Milky Way galaxy, the Skrulls went to the Avengers for help against the impending threat. Although they did not particularly want to ally themselves with the Skrulls, the Avengers knew that anything that could frighten the Skrulls into asking their aid had to be dangerous. In order to halt the Dark Ones and keep them from attacking Earth as well, the Avengers headed into space, leaving Black Panther behind due to his duties as King of Wakanda. 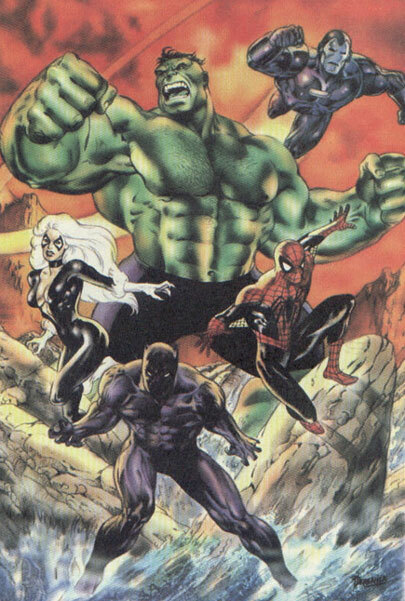 (Marvel Universe Millennial Visions 2001 - "Avengers: Defenders of the Galaxy (fb) - BTS) - With the Avengers gone, the United Nations appointed the Thunderbolts Earth's new protectors, which did not sit well with the Black Panther, who decided to form his own group of Avengers that included Black Cat, the Amazing Spider-Man, the Hulk, and a suit of sentient Iron Man armor who called itself War Machine. (Marvel Universe Millennial Visions 2001 - "Avengers: Defenders of the Galaxy") - With the second Avengers team formed, the group kept a watchful eye on both the Thunderbolts and the impending threat of the Dark Ones. 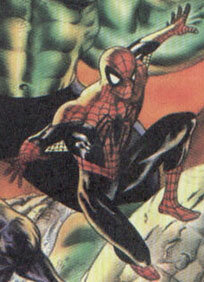 The Amazing Spider-Man appeared to be mostly the same as his Earth-616 counterpart up until he joined the Black Panther's second team of Avengers. 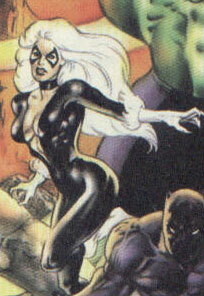 --Marvel Universe Millennial Visions 2001 - "Avengers: Defenders of the Galaxy"
The Black Cat was basically the same as her Earth-616 counterpart except that she reformed from her criminal ways much later than on Earth-616, and when she did, she joined up with the Black Panther's second team of Avengers. --Marvel Universe Millennial Visions 2001 -"Avengers: Defenders of the Galaxy"
Black Panther was a member of the Avengers who got left behind when the team went into space to battle the Dark Ones due to his status as King of Wakanda. When the United Nations gave the title of Earth's protectors to the Thunderbolts, the Black Panther began to mistrust the Thunderbolts. In order to keep an eye on the Thunderbolts and to better safeguard the world, the Black Panther formed a second team of Avengers. 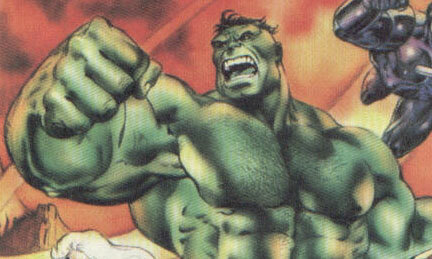 The Hulk had the same powers as his Earth-616 counterpart, except that this world's Hulk was darker and more unstable. 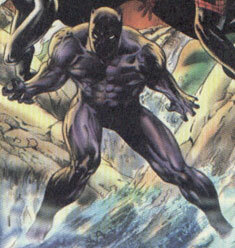 Despite his shortcomings, he did join the Black Panther's second team of Avengers. War Machine was a sentient suit of Iron Man armor that took on a life of its own. 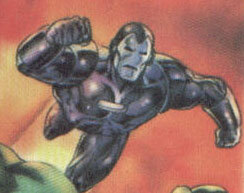 Choosing to play the role of hero, the sentient armor joined up with Black Panther's team of Avengers.